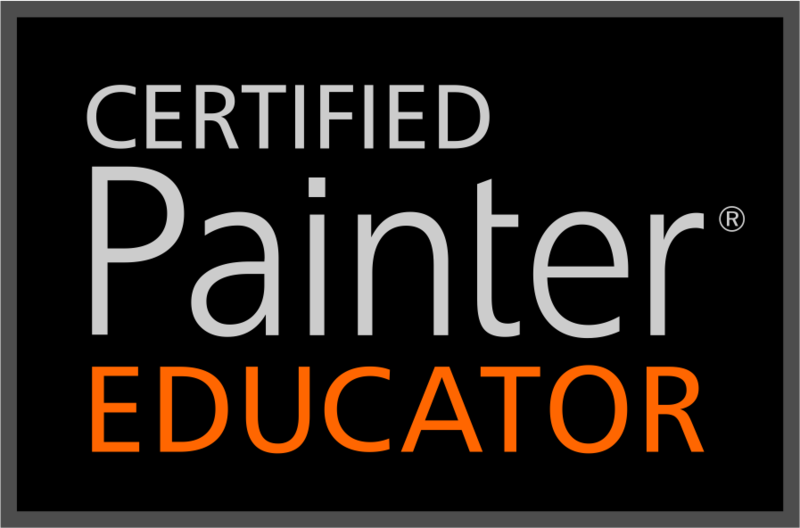 This entry was posted in 2013 Corel Painter Posts and tagged Corel Painter X3 Beginner Classes, Corel Painter X3 Classes, Corel Painter X3 Natural Media Studio: Opaques, Elaina Moore-Kelly, Holiday Open Studio, Introduction to Painter X3, Karen Bonaker, Skip Allen, Tim Shelbourne. Bookmark the permalink. Great Marion, I look forward to seeing you in the classes. I am doing well and my sister got a very good progress report this week. I am very happy. You deserve my comments and more. Your classes are excellent and enjoyed by all who take them. Hi Skip…I went to look at Tim’s class but it was filled up. I was hopng to find a link to his new Schmid Brushes as Richard Schmid is one of my favorite painters. Is there a place where one can download or purchase this brush set? Thanks…. Still looking forward to an intermediate brush making class from you…I enjoyed your beginner class very much a year or so ago. I don’t know if Tim has them for sale separately, yet. I would go back to his site and check out his new store. If he has them for sale, they will be in the store. I hope to get the brush class back up. Right now I am in Mississippi helping my sister and I’m not sure when I’ll be available for class. Thanks for the reply Skip…hope your sister is doing okay. both links for facebook video and Corel Painter X3 Natural Media Studio: Opaques are not working 😦 Maybe You or somebody else know where they were moved? Yes, links do change from time to time. You can find the classes at Tim Shelbourne’s The Artists’ Quarter Shop. When you get there, click on the shop link and that will take you to all the available products from Tim…all well worth it.